Welcome to our Munising Snowmobile lodging page. Our properties are located in and around the beautiful Munising, MI area. 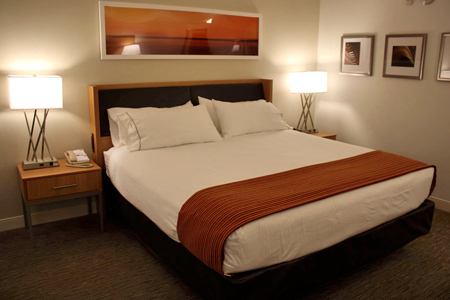 We offer a vast array of great lodging options that are sure to suit your needs. We can accommodate small groups and large. 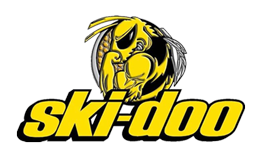 We have plenty of large parking areas for your snowmobile trailers. Planning a trip for the summer? 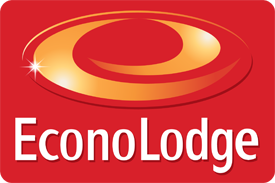 Check out our www.picturedrockslodging.com website for your vacation plans. Check out our listings below. Let us help you make this winter's experience the very best. Call or email today! 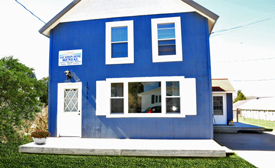 MUNISING VACATION RENTALS ARE AVAILABLE ON MUNISING BAY. Call 906 387-4300 for details. This Munising Michigan Motel offers many great amenities. 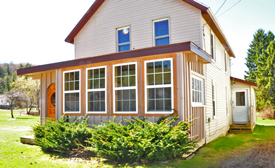 Located East of Munising on M-28 in the center of many great attractions & activities. The property is adjacent to groomed snowmobiling/ATV trails, and minutes from the Pictured Rocks National Park and Lakeshore, and close to Lake Superior beaches and Miners Castle. Several room types are available. This three-story hotel overlooking Munising Bay offers scenic beauty, incredible interiors, high-speed internet, smoke free, spacious accommodations, indoor heated pool, plenty of parking, suites, work-out center, conference room,and a great breakfast area to start out your day! 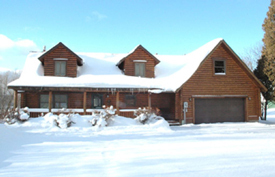 Year-round accommodations with extra large parking for snowmobilers and fishermen! Families and groups will enjoy our three bedroom vacation house - a lovely treat for everyone! This rental home comes with a great sun porch! This Vacation home is fully furnished and include: linens, towels, all kitchen supplies and a washer and dryer. Our Munising Michigan Vacation Home is within 150' of the lake. Families and groups will love our three bedroom vacation house - your home away from home! Both of our great Munising Vacation Homes sleep eight very comfortably. The Vista Grand Lodge is the perfect place to "get away from it all" and includes the following: open concept floor plan, two floors, three bedrooms, sleeps ten, two bathrooms (one upstairs, one downstairs), completely furnished kitchen down to wine glasses and corkscrew, washer/dryer, air conditioning, sauna, two car garage, front porch, back deck, outside seating, grill, wifi, and a view you won't believe! The Grand Vista Lodge is located one mile East of Munising and minutes away from The Pictured Rock National Lakeshore, boat cruises, kayaking, waterfalls (three within walking/biking distance), beautiful beaches, great restaurants, shops and our local golf course. After a busy day exploring the Munising area, return to The Grand Vista Lodge for an evening of total relaxation. Grill some delicious, fresh Lake Superior whitefish while watching graceful loons and ducks swim in Munising Bay. The perfect end to your perfect day will be a dazzling sunset! The best part is you can start all over again in the morning with a captivating sunrise!